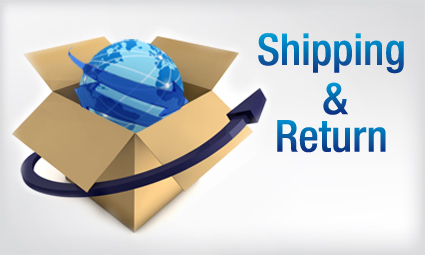 If you're returning an item because the product was damaged during shipping, doesn't work or something is wrong with the item we will send you a prepaid return label, refund your purchase 100% and/or replace the item at no cost to you. (please do this within the 14 day period) for any other return reasons you will be required to pay the shipping back to us! Products must be returned in the manufactures original packaging. Anything returned with broken seals, damaged or altered packaging, missing packing material, cords not factory wrapped, missing manuals and/or parts will be returned to you without a refund. Most of our items ship absolutely Free! In Stock items usually ship out that same day, some items may ship directly from the manufacturer with the larger heavier items being drop-shipped directly to you. In that case you will be notified immediately of the status of your order, if the items has a lead time for manufacturing or your item is on Pre-order. again, we will update you as best as we can of the status of that certain item. We value your support and are here to make your online shopping a pleasant one.